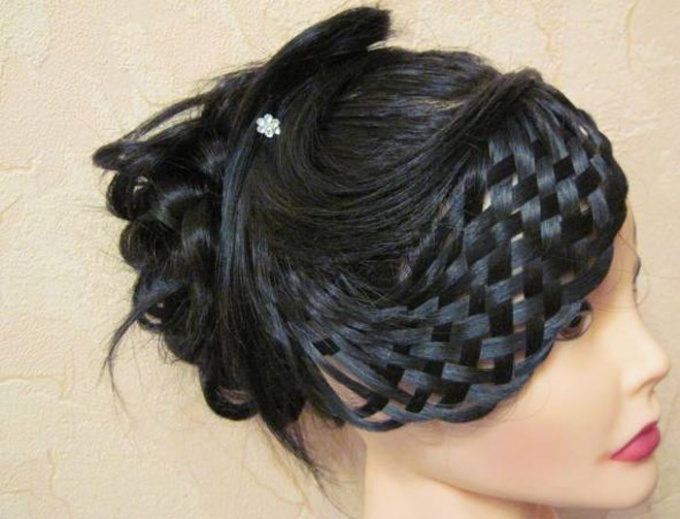 Mannequin for hair – it is a necessary tool for hair stylists at various levels. Beginners can use it to learn how to create any styling and hairstyles, and experienced craftsmen – to experiment, coming up with new, do not fear for the nerves of the customers. Today, these head mannequins are available in the public domain, and buy it can almost anyone. So, how to choose such a product and how to care for it. There are 3 different kinds of mannequins for the hair: artificial hair, natural and mixed types. Their value depends on the quality of hair, their length and thickness. Usually the price of such products varies 1400-8000 RUB. Head mannequin with natural hair is appropriate for many different manipulations: wrap on Curling, styling, drying with the use of Hairdryer, etc artificial tresses are not able to withstand the heat treatment and melting. If you are planning to learn how to curl your hair, this is your option, because these dummies for hairstyles have a more affordable price. But natural hair on a mannequin is more docile with them easier and more convenient to apply. When choosing an educational "heads" should take into account several different parameters. First, the length and density of hair (strands must be in length from 45 to 60 cm). Second, the frequency of hair loss. Make a small test: run your hand over the hair of the mannequin and note how much hair they dropped. Thirdly, you need to pay attention to the color of the hair. To make it easier to work on fulfilling hairstyles and more convenient to evaluate the result, buy a mannequin with blond hair, as dark strands all the elements usually merge. Check before your artificial hair or real, in one of two ways: to burn the ends of (artificial hair emits a smell of plastic, natural - burnt wool) or cheat with a Curling iron (if the strands melt and do not take the desired shape, then, is an artificial product). Mannequin hairstyles for natural hair you need to wash with regular shampoo as needed. You must then use the balm. In addition, 1 time per week to do a hydrating mask for maintaining good hair condition. All means for the thermal treatment of the strands when applied on the phantom must be placed on the lowest temperature to avoid damaging the hair structure. After seeing the product a small amount of fallen hairs, do not worry - this is normal. It is advisable to choose massage hairbrush with natural fibers. Training dummy for hairstyles with artificial hair requires the following care: you need to wash your locks only in case of urgent need. Better to do it rarely, and then the product will last you a long time. A great way would be to soak the strands of the dummy in the room for approximately 40-60 minutes. Then dry the hair, not washing it. Comb strands only when they become dry.